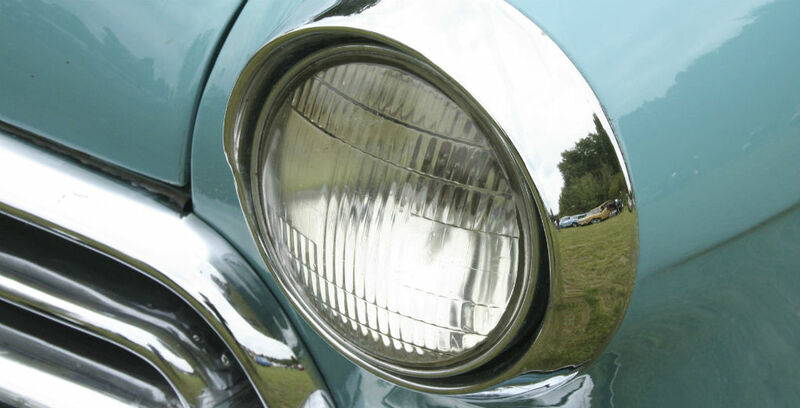 Restoring or owning a classic car is a dream for many automobile enthusiasts. However, just as with any antique, keeping your car properly maintained takes time, effort and care. There are a number of factors at play which can wreak havoc on your car, from rust to mildew, and there’s nothing more heart-breaking than seeing your treasured possession deteriorate. If you want your car to last a lifetime, be aware of these risks and take steps to minimise the damage. Without proper protection, the weather can be the nemesis of the classic car. Leaving your vehicle exposed to the rain promotes rust which it will feed on and damage your car, whilst too much sun can cause the paintwork to fade or even blister. Invest in a proper cover or keep your classic car in a garage to protect it. Additionally, if you plan to store your car away for a good few months over the winter season, place a few open boxes of baking soda inside to absorb moisture, open the windows for proper air circulation, and drain the fluids to prevent deterioration over time. A classic car isn’t necessarily going to be your choice of vehicle for everyday use, subject to the wear and tear of the daily grind. However, long periods of keeping your trophy hidden away can actually have a detrimental effect on the car itself. Batteries can run flat, engine parts can corrode and undetected problems can cause all manner of issues. Taking your vintage auto out for spin on a regular basis will keep it ticking over nicely and ensure you notice problems as and when they begin to develop. One of the key reasons many classic car owners choose to lock their precious investments away over the bleak winter months? Road salt. It can be a killer to unprotected steel parts such as your suspension or exhaust. Road salt might be essential for keeping icy, wet roads safe for drivers, but when it comes into contact with steel it can create a chemical reaction which produces rust. Steer clear of road salt if you want to save yourself an extensive and expensive hunt for replacement parts. Although you might not think about household pests posing a risk to your car, vermin such as rats and mice can cause a huge amount of damage to your auto – particularly if it’s stored away in a garage somewhere, out of sight. Not only can they chew through important wiring and tear up the upholstery, they could even end up treating your car like a nest and breeding! Be sure to check on your car whilst it’s in storage and stuff a rag in the exhaust to prevent any critters sneaking in through the pipe. Give your classic car a detail-clean and take care of every inch of your precious investment in order to prevent rust, chipped paint and general build-up of dirt which can contribute to poor performance and future issues. You want your classic car to retain its value for as long as possible, so it’s important to provide the proper TLC to keep it in top condition. After completing your detail-clean, remember to ensure that all the soap scum has been washed away. Residual cleaning products left on your car could cause damage over time – and it doesn’t look too stylish either! You could even treat your vintage auto to a wax to really help it shine. Taking care of a classic car is a labour of love for the auto enthusiast. Don’t let all your time, work and money go to waste by letting the maintenance slide. Additionally, remember to take out the correct insurance plan to protect your motor against any unfortunate and unprecedented events. It’s better to be safe than sorry.